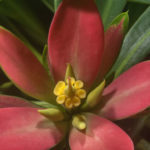 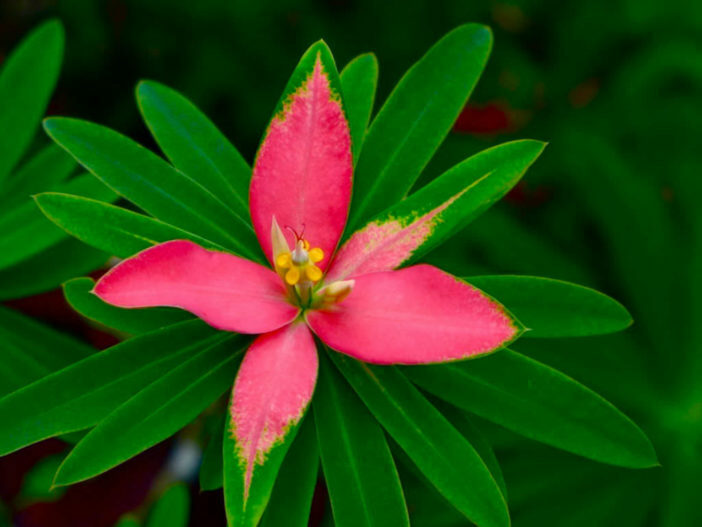 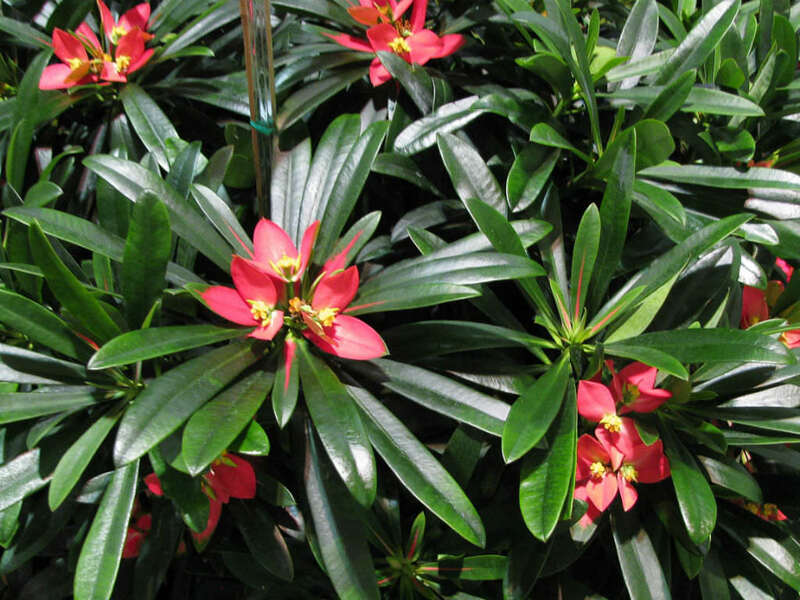 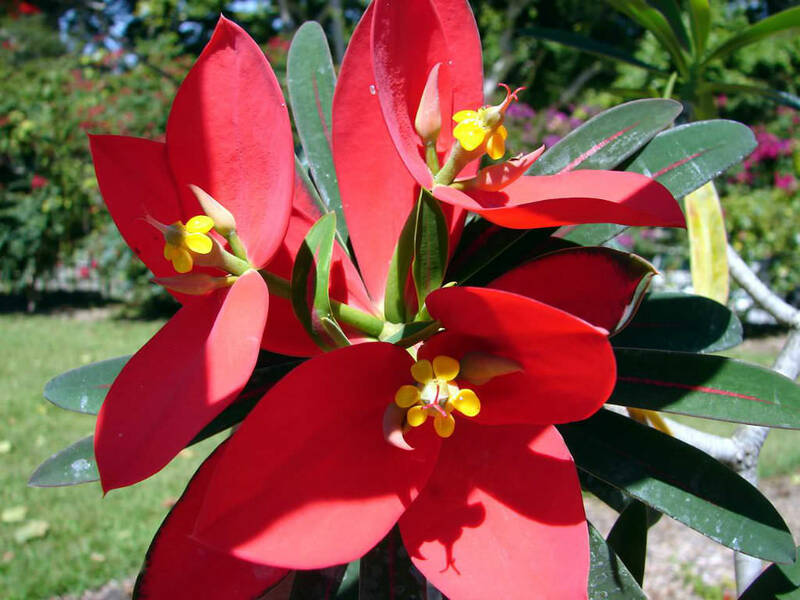 Euphorbia punicea is an unusual, evergreen, succulent shrub that can grow up to 6 feet (1.8 m) tall. 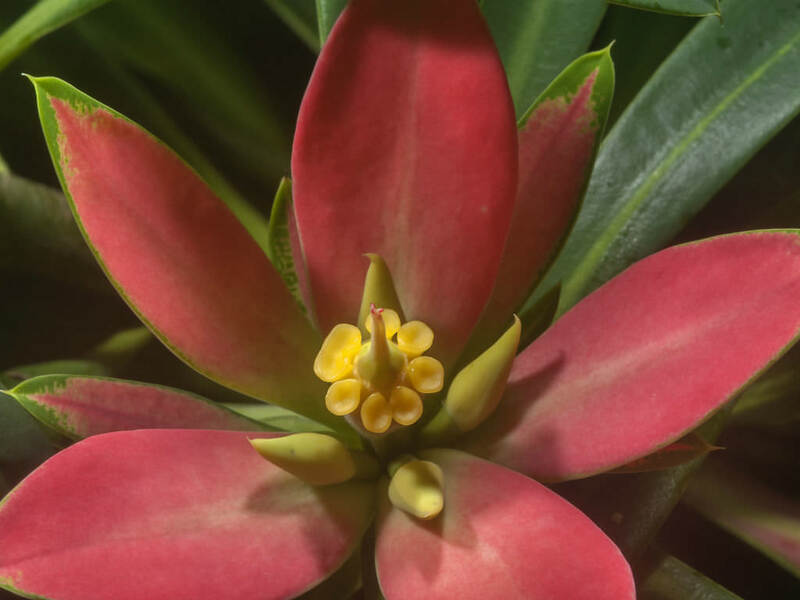 The stems are rubbery, semi-succulent, greenish to very pale brown or cream colored with prominent traces of the fallen leaves lining the woody lower branches and trunk. 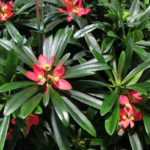 The leaves are dark green, normally evergreen, but seasonal drought and cool temperatures can cause foliage to temporarily drop away. 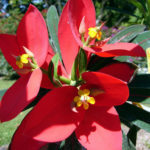 The small, insignificant, golden-yellow flowers are surrounded by a very showy crown of flashy-red petal-like bracts, looking like larger flowers from a distance.